Personal Responsibility under Unemployment Insurance Code ("UIC") Section 1735. Any officer, major stockholder, or other person, having charge of the affairs of a corporation, association, registered limited liability partnership or foreign limited liability partnership, or limited liability company employing unit, who willfully fails to pay contributions ..., shall be personally liable for the amount of the contributions, withholdings, penalties, and interest due and unpaid by such employing unit. The director may assess such officer, stockholder, or other person for the amount of such contributions, withholdings, penalties, and interest. Differs from IRC Section 6672 penalty in that responsible persons must pay tax, interest and penalty assessed at the corporate level; not merely the trust fund portion. A petition for review or reassessment must be filed within 30 days of service of a notice of assessment or denial of claim for refund. An additional 30-day period may be granted by the administrative law judge upon a showing of good cause. If a petition is not filed within the 30-day period, or within the additional period of time granted by the ALJ, the assessment or denial of claim for refund is final at the expiration of the period. UIC section 1222. A petition is deemed filed on the date it is sent in writing to the applicable office of the appeals board or department branch office. It may be mailed, shipped by express service common carrier, electronically transmitted or physically delivered. California Code of Regulations, title 22 (herein after "22 CCR __ ", sections 5000(gg) and (zz). Notices which are subject to petition for reassessment or review may be served by the EDD either personally or by mail. Service by mail shall be made pursuant to section 1013 of the Code of Civil Procedure, under which the time for filing a petition is extended five days if the petitioner is within the state, 10 days if outside the state but within the country, and 20 days if outside the country. UIC Section 1206. The Notice is effective when it is personally delivered or when it is placed in the mail and addressed to the employing unit or the person at his or her address as it appears on the records of the EDD. UIC Section 1206. If a petition was filed beyond the time period allowed by UIC Section 1222, but the petitioner establishes that service of the assessment was not effected upon the petitioner until a date later than that testified to by the EDD, the date service was effected upon the petitioner shall be used to determine if the petition was timely under UIC Section 1222. CCR 22 Section 5052(e). the signature of the appellant, petitioner, or board appellant, and the date signed. Suspension of the late payment penalty. Assessments become delinquent if not paid before they become final, and subject to a penalty of 10%. UIC Section 1135. Sections 1222 and 1224 provide that assessments become final (and delinquent) after 30 days from an assessment date, or on a petitioned or appealed case, within 30 days of an Administrative Law Judge or Appeals Board decision date. As a result the filing of a petition has the effect of giving the taxpayer a penalty free period during which the tax can be paid. Request and review the EDD audit file. Upon request by a party, at a charge of $5, the EDD shall provide that party a copy of any or all documents in a case file. 22 CCR Section 5010(e). Primary Factor. Although there is no one factor which determines an individual's status, the most important factor is the right of the principal to control the manner, mode, method and means of performing the details of the work Isenberg v. California Employment Stabilization Commission (1947) 30 Cal. 2d 34, 180 P. 2d 11. The courts have stated that it is not necessary that actual control be exercised, but only that the right of control exist to constitute an employer-employee relationship Baugh v. Rogers (19 44), 24 Cal. 2d 200, 148 P. 2d 633. In Empire Star Mines Company. Ltd. v. California Employment Commission (1946) 28 Cal. 2d 33, 168 P. 2d 686 , the California Supreme Court stated that strong evidence in support of an employment relationship is the right to discharge at will, without cause. Secondary Factors. The California Supreme Court in Tieburq v. California Unemployment Insurance Appeals Board (1970), 2 Cal. 3d 471 P. 2d 975; 88 Cal. Rptr. 175 adopted the following factors taken from Section 220 of the Restatement Second of Agency that are to be evaluated in addition to the control factors. W hether the principal is or is not in business. Additional explication of the above factors are set forth in 22 CCR Section 4304-1. An administrative law judge may order the taking of interrogatories and depositions inside or outside the state, upon such terms and conditions as may be just. 22 CCR Section 5059(k). Subpoena witnesses for the hearing. An ALJ shall issue a subpoena or a subpoena duces tecum upon proper application of a party. 22 CCR 5058(b). Why the documents are necessary. Delivery of a subpoena or subpoena duces tecum is made by delivering a paper copy to the witness in person a reasonable time before the hearing. A paper copy of any application for subpoena duces tecum shall be delivered with a subpoena duces tecum. Any natural person may deliver a subpoena or a subpoena duces tecum. 22 CCR 5058(g). The Hearing. Testimony shall be taken only on oath, affirmation, or under penalty of perjury. Each party shall have these rights: (i) to review the case file; (ii) to call and examine parties and witnesses; (iii) to introduce exhibits; (iv) to question opposing witnesses and parties on any matter relevant to the issues even though that matter was not covered in the direct examination; (v) to impeach any witness regardless of which party first called the witness to testify; and (vi) to rebut the evidence against it. 22 CCR 5059(c) and (d). Interpreters. The EDD will supply interpreters free of charge. 22 CCR Section 5063. Any relevant evidence shall be admitted if it is the sort of evidence on which responsible persons are accustomed to rely in the conduct of serious affairs. 22 CCR Section 5059(e), i.e. hearsay is permitted. Rules of privilege are applicable. 22 CCR Section 5059(f). Practice Tip. Bring four copies of all documentary evidence. One for the judge, one for the EDD, one for the witness and one for yourself. Hearings are open to the public. 22 CCR Section 5059(n). Post Trial Brief. The administrative law judge may grant written argument, and, if so, shall inform the parties of the time and manner by which it shall be filed and served. 22 CCR Section 5064. The Decision. The administrative law judge shall promptly issue the decision, and the EDD shall promptly serve it. The decision shall set forth the statement of facts, the reasons for decision, the decision, and the date served. The statement of facts shall be based exclusively on the evidence of record in the proceeding and on matters officially noticed in the proceeding. If a factual determination is based substantially on the credibility of a witness, the statement of facts shall identify any specific evidence, including the observed demeanor, manner, or attitude of the witness, that supports the determination. A penalty may not be based on a guideline, criterion, bulletin, manual, instruction, order, standard of general application, or other rule unless it has been adopted as a regulation. 22 CCR Section 5065. The Board consists of 7 members. Five are appointed by the Governor, and one each is appointed by the Senate Rules Committee and Majority Leader for four year staggered terms of office. It is an independent office, and not responsible to the EDD. Appeals of adverse decision of an ALJ are made to the Board. An oral hearing may be requested. Generally new evidence will not be accepted. See 22 CCR Section 5102. However an application to present new or additional evidence may be filed within 10 days after service of a board appeal. 22 CCR 5102(a). Payment of Tax, Interest, and Penalties for the entire assessment period, i.e. all quarters. UIC section 1178(d); Masi v. Nagle, 5 Cal. App. 4th 608, 7 Cal. Rptr. 2d 423 (3rd Dist 1992). Every claim for refund must be in writing and must state the specific grounds upon which the claim is founded. CUIC §1179. Upon denial of the claim by the EDD a Petition for Review must be filed with an ALJ within 30 days. If the EDD fails to take action within 60 days after a refund claim is filed the taxpayer may consider the claim denied and file a petition with an administrative law judge. UIC section 1222. Adverse determination of an ALJ's decision must be filed with the Appeals Board within 30 days. UIC Section 1224(a). If the administrative law judge fails to serve notice of the decision on a petition for review of denial of a claim for refund or credit within 60 days after a petition is filed, the petitioner may consider the petition denied and file an appeal with the appeals board. Suit must be brought within 90 days after the service of the notice of the decision of the Appeals Board upon the denial of the refund claim. UIC Section 1241(a). If the Appeals Board fails to serve notice of its decision on the appeal within 90 days after an appeal is filed, the claimant may consider the claim denied and may bring an action against the director. Id. The EDD may, in writing, extend for a period of not exceeding two years the time within which such action may be instituted if written request for such extension is filed with the director within the 90-day period. UIC Section 1241(a). 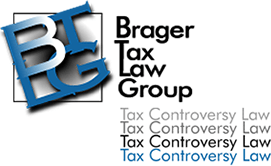 * Dennis Brager, Esq., is a State Bar Certified Tax Specialist in Los Angeles. A former IRS senior trial attorney, Mr. Brager now devotes his efforts exclusively to helping clients resolve their tax problems with the IRS and California State tax agencies. Services include negotiating Tax Debts, Tax Fraud Representation, Tax Litigation, Tax Audit, EDD Audits and Appeals Representation, Tax Preparer Penalty Mitigation, Payroll Tax Audits, and California Sales Tax Problems. He may be reached at 800.380.TAX LITIGATOR.